Welcome to Moose Hollow 110! If you love convenience and spectacular mountain views, Moose Hollow 110 is perfect for you! Situated in the center of the condo complex, you'll have easy access to the pool, hot tub, dry sauna, picnic area, ski bus stops, and sand volleyball court! With breath-taking views of the beautiful Wasatch Mountains from every window and a private balcony, you can breath the fresh mountain air and relax during your vacation in one of Utah's best kept secrets. 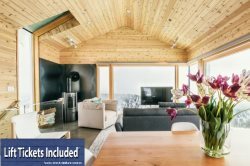 We are truly excited and honored to share our homes with each and every guest and we invite you to stay with us at Powder Mountain Getaways - MH110!